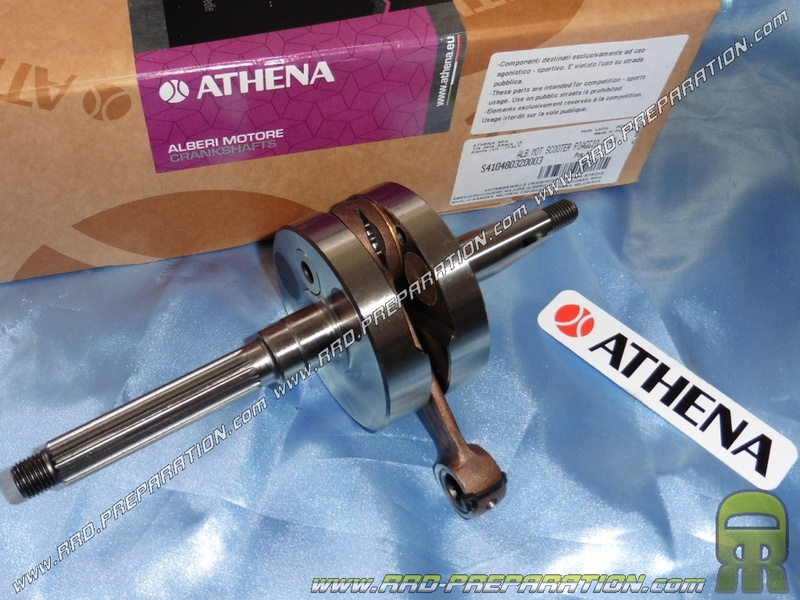 Special for 80cc ATHENA kit or on scooter PIAGGIO / GILERA which make 75cc of origin, model ultra reinforced in long race. 119,57 € 119.57 tax incl. 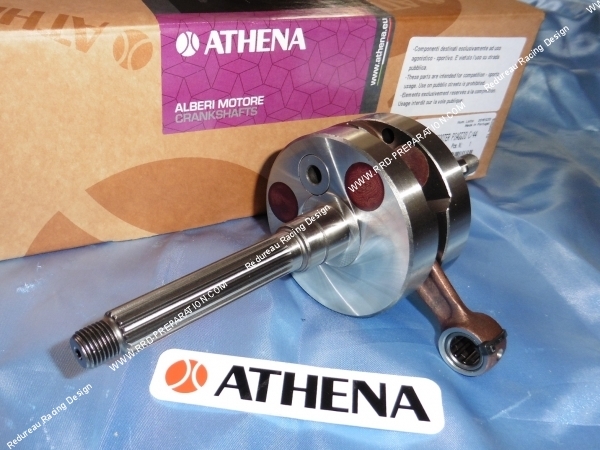 An excellent crankshaft brand ATHENA Racing, reinforced in solid masses studied for a maximum of pre compression, in long race 44mm, rod of 90mm, for piston axle of Ø12mm, it will therefore increase your displacement (unless you have a motor scooter PIAGGIO / GILERA 75cc original). You will need to mount it with the kit provided for this purpose. The 90mm rod (long) reduces pre-compression, but greatly reduces the wear of the piston. It is very well balanced, its bristles (bearing housing) are of original size. However, you will have to machine your crankcase in order to pass it. It is supplied with a reinforced needle cage and also has a key for ignition which is already adjusted in relation to the long stroke for more performance, the end of the connecting rod is really reinforced to the maximum and over-greased. 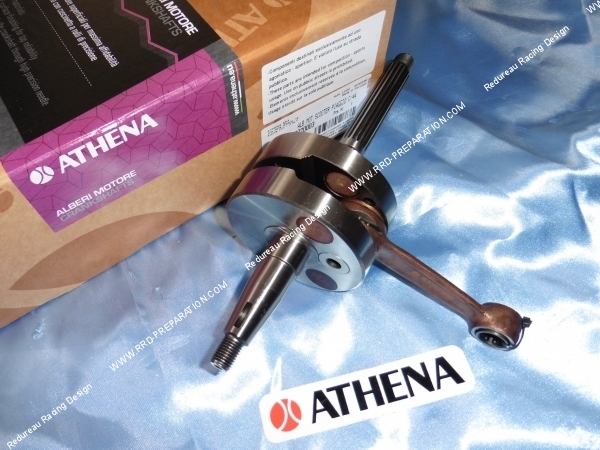 is specially designed for the ATHENA kit diameter 47.6mm 80cc racing for long stroke but you will be able to use it on another cylinder in axis of 12mm if you wish, however attention, the rod 90mm with another kit will pose you surely problem, you will have to place a wedge or several base seals to adjust the height of the cylinder perfectly.